Hailed as “possessing rich, mellow flute playing, lovely lyrical style, and excellent breath control” by ClassicsToday.com, Michelle Matsumune is a fourth generation Californian and a lover of chamber music. She concertizes regularly with the woodwind trio Ceora Winds, which released their debut CD Postcards in 2014. Additionally, she performs as singer and flautist for the choral group The Wagner Ensemble and the Independent Opera Company. With the flute and harp group Duo Arioso, Michelle released a CD of Medieval music, entitled Cantico, to critical acclaim. As a soloist, Michelle has performed flute concerts in Europe, Mexico, and throughout the United States, and at music festivals in Mexico City and Geneva, Switzerland. She toured as the featured soloist with the Southern California Balinese Gamalan Group, and has worked closely with many contemporary composers including James Tenney, Eugene Kurtz, Jenni Brandon and Nancy Bloomer-Deussen. She is married to composer Mat Matsumune, and has premiered all of his flute works. Michelle studied flute with Peter Lloyd at Indiana University, received her MFA with Rachel Rudich at California Institute of the Arts, and also spent a year in Paris working with flutist Craig Goodman. 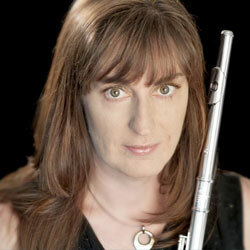 She is the Woodwind Coach for the Los Angeles Youth Orchestra and teaches privately.